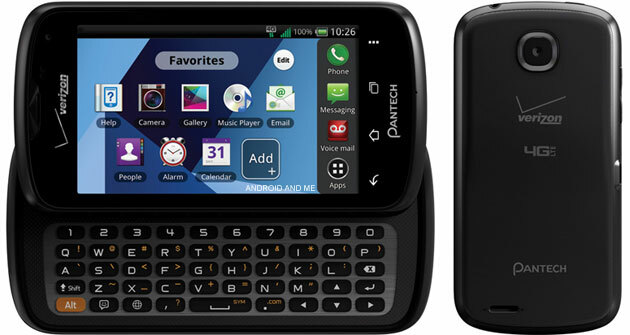 What you are looking at is a phone known as the Pantech Star Q. It’s clearly a below mid-range slider, headed to Verizon to run on their 4G LTE network. While it may sport a 1.5GHz dual-core Snapdragon S4 processor, the rest is nothing to be writing home to Mom about. The Star Q has a 4″ WVGA display, 3MP rear camera and a 4-row slideout keyboard. Ice Cream Sandwich is on board, but boy does that screen above look like some feature phone software from the 90s. Yikes. If this phone doesn’t launch for free, you’ll find me scratching my head in the back corner of a pub for days.